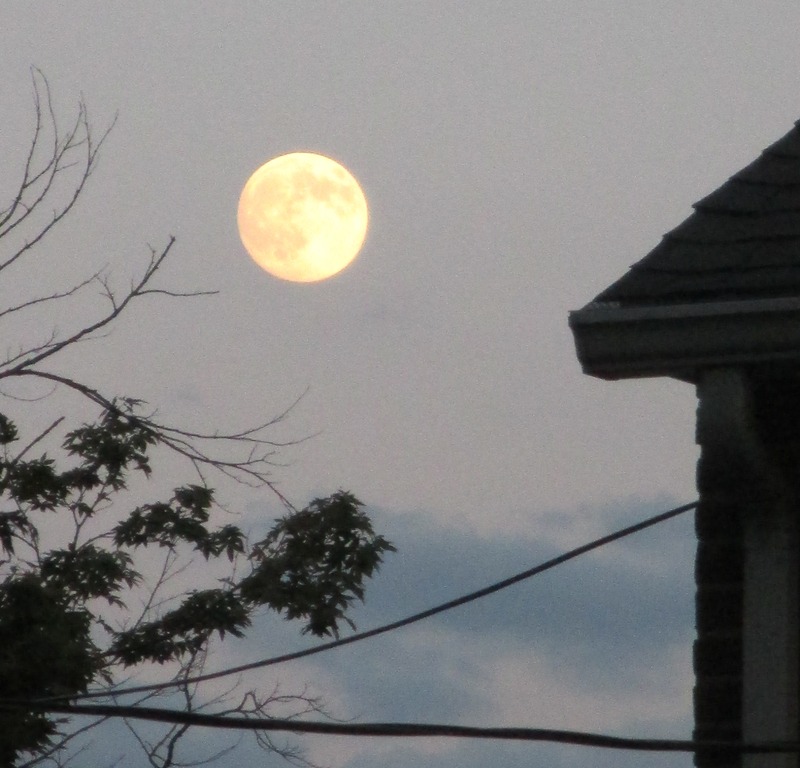 The Moon enters its Maiden (New) phase this morning in the astrological sign of Virgo. The New Moon is an excellent time to begin workings that require the energy of the initial flow needed for beginnings. 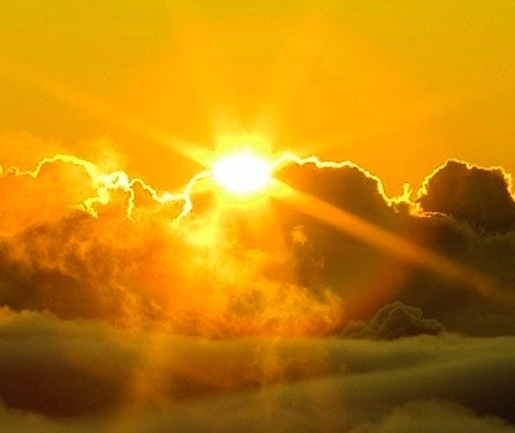 One of the correlates would be the energy of the sunrise or dawn. A new day is a beginning that is packed full with the potential to become whatever you desire most by the time it reaches the fullness of mid-day. So too, the lunar cycle of the New Moon offers the opportunity to harness the energy of expansion towards the fullest expression of what you wish to bring into manifestation at the Full Moon. The collaborative efforts of the Sun and Moon offer the exchange of transformative (Sun) fires held in the foundations of Mother Moon’s flow. Virgo’s energy provides the vessel of container that offers the ability to sift and sort through what fills its. The New Moon is the first phase of that process and as the Moon and Sun Wax in energy each new step reveals another layer to be processed. When we reach the Fullness of the Moon’s energy all that has gathered from that process has been readied for the heart-centered flow of the Pisces Full Moon. The energy of Virgo is one of defining through the process of analysis and a Virgo New Moon offers the opportunity to sift through our emotional waters and filter in a purposeful way that reveals the nuggets of Gold hidden within. 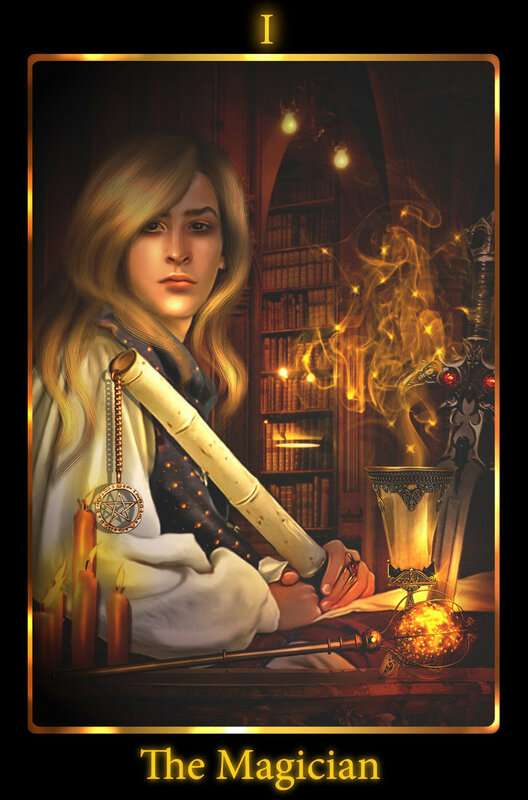 Add the dynamic of the Sun’s energy and we have the support of the masculine and feminine principles, collaboratively working together in support of manifesting a stable foundation that is both prosperous and abundant. This is the earthy quality of Virgo and the ability to draw from its resources concrete and useable products. The energy of the New Moon expressed through this process of testing and analyzing offers the opportunity to align heart and what we “feel” about whatever the Virgo energy is focused upon as an additional measure of its viability before it is broken down into the parts that become the sum total of a new whole. Mercury, the planet of communication is also in the astrological sign of Virgo. The Virgoan energy creates a communication style that is riddled with detail. And, I do mean “riddled”. This gives the dynamic of lots of information to be shared about a singular query. So much so, that the answer may seem to be so buried and the means by which it is communicated so muddled by facts and statistics that it’s difficult to receive the simpler message. Uranus has been slowly and incrementally turning up the volume on our neurological receptors. With the advent of this New Moon, the ability to concretely hone in on what needs the closer scrutiny of Virgo’s New Moon may seem like a moving target. Take some deep breaths and consciously slow down the approach. The Moon as She begins her phase of Waxing will offer the healing waters that can be used to quiet this frenetic energy. The key here is finding the balance between productive stimulation that calls us to action aiding Virgo’s need to analyze and giving body and mind the adequate rest and relaxation that will prevent the process from overwhelming. Neptune provides the gift of being compassionate and gentle with ourselves as we peel back the layers of all aspects of ourselves with Virgo’s assistance. Tap into these deeper waters of the emotional self with the attitude of gifting yourself with the grace and intuitive sight to see clearly and respond appropriately to what is reveled in this journey of excavation. The Pluto retrograde in the astrological sign of Capricorn continues its efforts to bring into realization the mistakes and successes of past efforts. The goal is one of strengthening what moves forward from this point in a way that will insure that the resultant action taken will stand the test of successfully navigating future challenges. Pluto, in its form as the planet associated with Death and ancestral knowledge offers great potential for acceptance of the frailty of what we build if we only see its permanence defined in the present moment. The gift of Death is in the ability to reach back into the reserves of what created the being that we currently are and realize the impermanence of that vision as ever changing and reforming into what is continually in the process of being birthed anew. The opportunity during this Virgo New Moon and as the Sun also waxes in strength under Virgo’s scrutiny lay in being able to access the Plutonian wisdom of all time and all space and use this as an additional layer of support as Virgo goes about its work of refining. Capricorn is an Earth sign very much aligned with the mind-space of physical and spiritual vessel of self and can serve to inform more deeply the space of “between” what we have as past learning and what we will become. This is the space of the present where we are able to make the adjustments needed. The slowing of their orbits and seeming pause invokes a vision of being under the watchful gaze of developed mind (Uranus), heart (Neptune) and Will (Mars) to act. I would encourage you to re-read the posts about Uranus and Neptune’s Retrogrades. Take some time on the eve of this New Moon to sort through how you define yourself in the physical world. What are your strengths? What would you like to bolster and strengthen? Writing it down gives your impressions a concrete and tactile energy as the words manifest on the paper. Now, look at what you have written and as you go through each trait, pause and allow your feelings (Moon) to settle in around what that trait is. This is the narrowing down process. When you’ve gone through each thing, select one that you would like most to really dig a deeply into and cultivate. This will be the focus of your intent of working as you move through the Solar Month. Sit in quiet reflection and begin to allow yourself to open responsively, ready to take a closer look at the trait you have selected. As you move through this month, the energy waxing toward the Full Moon, spend some time each day peeling back the layers that comprise this trait and being open to the opportunities that may present that enable you to express this trait in a deeper way. One of the characteristics I would like to explore more deeply and refine is my impatience. I move and think very quickly and at times become (unjustly) annoyed when everyone else does not keep pace. As I sit under Virgo’s New Moon and make this the focus of my efforts, I am going to analyze why I choose to respond in this way. I would also be considering how it may make other’s feel when I respond impatiently. As I move through the Solar Month, I will continue to explore this response and pause and make note whenever I perceive myself to be impatient. As I sit in my daily meditation, I will revisit this state of impatience and identify what prompted it, analyze I this was an appropriate response or simply me reverting to natural tendency. I will incrementally and purposefully gather this information and with each addition to what I come to know about the reasons for my response in this way, I will be able to fine tune how and when to use it in a productive way. Mars (assertion and action) is conjunct (working in collaborative support) Saturn (order and) structure today (3:30 p.m.). This would be an optimal time to use this energy of action in an orderly and structured way as an adjunct to the already very methodical Virgo. 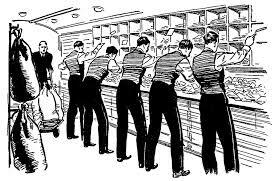 Whatever you choose to sift and sort through will be supported by taking the action needed to reestablish order as it is re-assembled by Virgo’s grace. That you want me to do. Have the information I need. I can be impetuous at times. To not have nearly enough experience. Break it down for you. The Sun transited into the astrological sign of Virgo just 46 minutes past midnight this morning. This speaks volumes about the nature of Virgo and its analytical qualities. Barely able to contain itself and raring to go, Virgo’s energies are continually seeking to make sense of and sort through anything that comes its way. The astrological sign of Virgo is one of the Element of Earth and the Mutable Modality. Its planetary ruler is Mercury, whose greater mystery is held in its transformative powers through the act of communication and inter-connectivity. 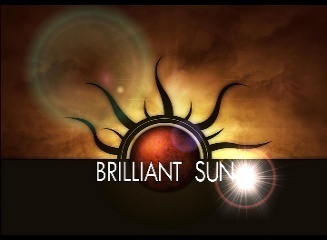 The natural energy of the Sun, that of shedding great light on whatever is in its spectrum, is now amped up to become the spotlight that shines fully on what needs to be communicated about what deeper information is revealed when one probes and analyzes each aspect of that thing in a methodical way stripping away any falsehood. This solar month has maximum potential for re-defining the foundations that have been set in place in your mundane and physical world. Virgo brings this energy to the place of being able to fine tune what we imagined to be so, and do it in the fullness of the Sun’s light and strength. Any conclusions we come to will have stood the test of methodical process. The caution is one of not allowing this detailed process of sorting and sifting to allow inertia to set in. All of the Earth signs hold the potential for either being flexible and expansive in creating supportive foundations or burying the seeker under the weight of what wishes to be fertile in growth and continually moving. Actively tapping into the bolster of Mercury, as its Planetary ruler, insures that the findings of result at each step of the way will be shared and receive the benefit of more input that will inform the process anew. The energy of Earth is that of the Physical and manifest world. We saw this energy expressed in the astrological sign of Taurus early in our Solar Year. Taurus was the expression of manifest form and concrete reality to insure that stable foundations are laid and guarded. Virgo takes this fertile ground of foundation and pulls from it those weeds that will deter growth and prepares it for receipt of viable seed. The downside to this type of weeding is the tendency, if not kept in check to also disrupt the naturally occurring order of viable matter and rip it from its roots. The energy of the Mutable signs is one of expansiveness and flexibility that is now able to move with assurance having had the active and dynamic will of the Fixed (Leo) energy that preceded it. This is the energy that signifies the end of the cycle of movement as well as the preparation for being acted upon again when it revisits the Cardinal Modality anew (Libra) as balance and refinement of what has been processed occurs. Virgo as a sign of the Mutable Modality expresses itself as it analyzes and methodically pores through everything that comes into its purview. Seeking out its heart of truth. Filter of its delicate embrace. Knowing how each sign moves to the next and the interaction between each as they evolve towards completion (and threshold of renewal) of the wheel in Pisces tells its own unique story of the astrological wheel. Virgo is the sixth sign of the Zodiac. Numerologically, the number SIX (6) relates to harmonious action and synthesis. 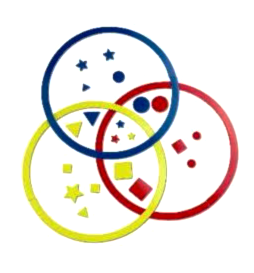 It is the higher amplification of the triad of the number 3 (the creative product of the duality of collaboration). Being of a Mutable Modality, the quality of Virgo is that of flexible expansion. It is this flexibility that offers up the potential for beginnings and endings; both of which require harmonious action to succeed. Virgo requires this stable base in order to maintain the necessary flexibility to take something apart, explore all of its components and then reassemble it in a more productive way. 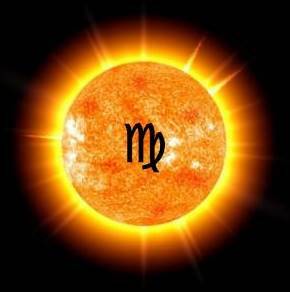 If we look at the dynamics of energy thus far, beginning with the cardinal sign of Aries, we could think of the three signs that begin the astrological wheel as the quickening Fires (Aries- Fire) within the body of manifestation (Taurus- Earth) that gives rise to aspiring towards the heavens (Gemini- Air). Now enlivened by the desire to “know”, the healing and nurturing (Cancer- Water) of what no longer serves this goal is brought front and center into the Light of Day (Leo-Fire) to be strengthened as it is readied for the detailed analysis of Virgo (Earth) that seeks to create a new form for its manifestation. Mercury is the Ruling Planet of both Gemini and Virgo and is the Lord of communication in all of its light of day. Speech, art, music, writing, etc. all are held within the energy of Mercury. These are the tools that Virgo uses to drill down to the core of what its place of focus is turned upon. Within the astrological sign of Airy (Mental) Gemini, Mercury was most at home basking in the natural speed of mind and the duality of being able to change course at a moment notice. Within the energy of Virgo, this style of informing is brought down from the atmosphere and aethers (Mind) and rooted in the physicality of earthly foundation (Virgo). This is also the point of balance where what we think can be in support of the concrete actions we take, the goals of physical expression we choose for ourselves and the impact we have on those we interact with. At this time of the year in the Northern hemisphere, we see the potency of Virgo expressed as the sorting process as we approach the Second of three harvests. The weather hovers at the precipice of entering the chill of winter’s months and the last bursts of late Summer’s heat. The vibrancy of the Sun and flexibility of Virgo’s energy supports the sifting through of what stores of harvest we will bring into our homes and lives. In the Southern Hemisphere the emphasis is the reversed as all continue in their preparation for the waxing of the Sun’s light. The equinox is close at hand and with it the visual delights of Spring and all that is promised by new growth. Virgo’s energy here is expressed as the weeding process occurs to clear away what would crowd out the beautiful blooms and fertile growth. Both are states of earthy energy requiring the harmony and balance of choice and discernment. Both require foundational strength that holds the responsibility for whatever outcome may be. The goal is one of stimulation at the level of the physical and concrete worlds of existence. This state paves the way for the next phase of further refinement as the Sun transits next into the Cardinal sign of Libra. In the chronology of the Zodiac, this is the space of time to gather all that you have learned from Leo’s expression of power and stand ready to dig (no Earth pun intended!) deeper into that place of power held within as we embark on a journey of self-understanding. This is the energy of the stabilized young adult who has gone through the trials and errors of false pride and come to a space of synthesis and security in maturing into the responsibilities of adulthood and all that it entails to successfully navigate the physical world. The inquisitive mind of the pre-teen moves at a pace that is non-stop. This is the phase of the “I want to be” and “when I grow up, I can do this or that”. Everything is within the realms of possibility and holds no limitations to what is imagined. This was the companion expression of Mercury’s energy that we experienced in the astrological sign of exuberant Gemini. The inquisitive mind has returned; now poised with questions that will stimulate deeper exploration of anything queried and ripen and mature the querent through accumulated experience. And, so in the spirit of analytical Virgo as we call forth the energy of the Sun as it continues its zodiacal cycle. Once again we repeat the invocation that opened the Gate to this Temple. As you read through it think back to the first time you gave resolution to a problem that underscored your ability to weed through all that was not viable; extract precisely what was relevant and take responsibility for the work you’d done in coming to a mature and wizened solution. As you read through the invocation, think about what each line of reference is trying to communicate and what these words mean to you at every level of your being. What keys to the greater knowledge of RA’s power is hidden within the words put to paper. This is the power of analytical communication and its ability to stimulate deeper inquiry. Use this gift wisely this solar month as we invoke the Solar month in Virgo and awaken those fires of RA to enliven each foundation you choose to re-form. The Magick of Leo is based in the realms of will and creation of an outcome that is oriented to action and attracting what is desired. Whatever we apply Leonine energy towards is going to receive the advantage of strengthening and receiving the bolster of illuminated interest. You will draw attention and the choice lies in what type of attention you wish it to be. Its strength lay in being able to gather to itself what is most desired; its detriment is that what it gathers may not be in the best interest of all concerned if not carefully selected. Remaining in this pattern of attracting what does not serve well can overload the confidence in the dynamic appeal of what is being exerted and effort is replaced by apathy assuming that every sought after goal will be achieved just because. Despite this any workings that require the extra boost of magnetic attraction and brilliance of spotlight on the results are well suited to Leo’s application. Leo works directly on our will and the courage we exhibit as we express ourselves and make our presence known, so workings that require a huge boost of energy and confidence are best served by using Leo’s exhilarating dynamics as the Moon Waxes or continually during the Solar Month of Leo. Conversely, using Leo’s magick during a Waning phase (Lunar or Solar Month) can serve to shine a light on those things that hold us captive in self-doubt and need an extra dose of renewal and enlivening. Leo begins the second cycle of quadrant of Elements in progression around the zodiacal wheel. This is the second of the Fire astrological signs and in the order of progression, Leo is the full blaze that has taken hold that was ignited in Aries as the first striking of the fiery match. The caution here is being mindful that this blaze remains shining brilliantly and is able to be controlled and contained in a productive way. If this state is achieved than the blaze that grows brighter and brighter as it draws to itself the necessary fueling of Air and desire has no equal other than the Sun itself. And, what of this physical Sun that we compare the Leonine quality to? This is the overt attribution and image associated but another and potentially more powerful expression of Leo’s light is what is held in the darkness. Think of the stealth of the Lion prowling under cover of brush and night seeking the suitable prey that will sustain the pride. From this darkness a beast of power, courage and strength springs forth and in a flash of bared teeth and flicking claw, the prey is taken and life will survive. This is the energy of Leo as the Sun sets and the Midnight Sun that is hidden from view (as the Northern Hemisphere turns away from the blaze) still shines in brilliance on the opposing side of the world. This is the energy that can be called upon, the inner sun that burns brightly although hidden and obscured in the darkness. It is from this space that the true magick of Leo is revealed and the transformative quality that emerges sustains and fuels our will to action. In keeping with these thoughts, Leo can be used effectively in the magick of healing. We normally associate the Water signs with healing qualities; but Fire penetrates deeply and as it removes it cauterizes what it has inflicted its fires upon. 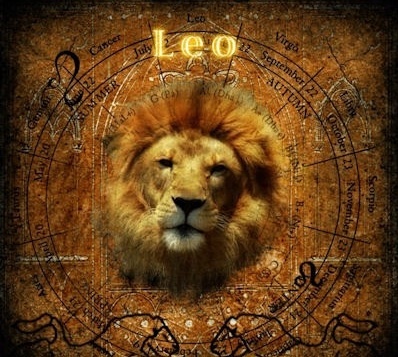 Workings that are focused on strengthening the physical body, dispelling weakness and lethargy and stimulating the healing process of wounds, abrasions, etc.. are well suited to Leo’s energy. If we engage our heart center in the process as intuitive guide, this healing process is one that works much like Reiki, acupuncture and energetic healing modalities. Their goal, being one of stimulating the appropriate and productive flow of chi or prana;which moves like electrical impulses throughout the meridians of the body. Leo’s energy could also act a support for those battling fatigue. Drawing these fiery and electromagnetic energies into our core center and circulating them is much the same as sitting in the Sun, breathing in its healing energies and returning to our tasks renewed and refreshed. Leo as the Fifth sign of the Solar Year concerns itself with action and the transformative effects that action has. The Solar Month of Leo is an excellent time to begin the process of polishing off the outer projection of who you are as you bolster the courage to step fully into that image you are projecting. The energy of this Solar month of Leo next flows into the Earth of Virgo and the call to restructure, organize and analyze what has come before. In order to stand the test of this type of scrutiny, you must be confident and secure in who you are, your place in the world and more importantly, the effect you have on others. This is the work of Leo, preparing and shoring up the self so that new foundations can be built from what is truly viable and worth holding on to. The Leonine approach can be used for short-term projects, but is most effective for long-term workings. A goal, such as a working to re-form and strengthen your gifts and natural qualities that bring attention to the productive nature of your work benefit from beginning its cycle during the Solar Month of Leo. Similar to the New, Full and Waning cycles of the Lunar Month, beginning the working in the Solar Month of Leo would be the first phase of courageously facing the image that is reflected back to you as you step into the fullness of the light. This may take the form of sitting with a mirror in meditative practice and calling forth the image that you project to the world. You would repeat this practice several times during the month, each time making note of how that image may change and what new attributes and emotions are revealed in the process. As you move through the Solar month you will begin to see more and more of the true you. Using the cycle of Fire and those astrological signs of that element the next point of bolstering the energy would be during Sagittarius. The Solar Month of Sagittarius stands as the expansive phase of will-filled (Fire) energy, and signals the readiness to reach out and gather more information about what effects your energy has in the greater world. In this state of outreach, you can fuel the flame of stepping into the power of who you are. Here, there is opportunity to stretch in the brilliance of who you are becoming. The catalytic energy of Aries (the last of this cycle of Fire signs) would serve as the point of catalyzing what has been flexibly created and allow the rebirthing of a transformed image of yourself. These are the incremental steps of progressively evolving and dynamically changing in accord with the brightest version of your own inner flame of light. Use of Lunar energy in the astrological sign of Leo provides the energetic principle of electrical discharge. Imagine an exposed wire placed in a pan of water. A flash of electricity and burst of Light are the products of this interaction. Leo provides the opportunity for experiencing this dynamic catalytic state. The seas of emotion become electrically charged and fuel the passions in a way that pushes the intended goal towards active and creative product. Workings that have desire of goal to activate emotional response that is courageous and dynamic in its resultant creations benefit from lunations in Leo. Work done that encourages productive action that aligns with what is felt in the emotional center is well suited to Leo’s energies. These are the emotional outpourings that produce great works of art, passionate relationships and creation of what the heart most desires. The New Moon of Leo could be used to draw up those goals that have been held in the dream-state because they lack the confidence and/will to or be acted upon. Allow yourself to be bold in what you envision as the creative product of these goals. Filter them through the test of how much energy, time and effort you are willing to dedicate to their birthing. Narrow it down to one singular goal that is infused with emotional commitment and engagement. See this goal as a pool of deep and dark waters of creation (the waters of the primordial womb – Nun). Now envision the intent of your will and the power of your desire as a flame held within your central core. Breathe this ember of flame into those waters as the initial and beginning state of catalyzing what you wish to birth. The Full Moon would be the time of active effort taken to bring what you desire into creation. 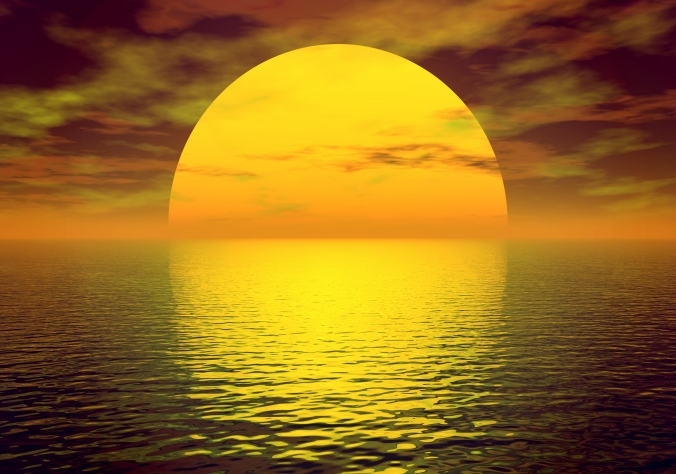 Envision the quickened waters that flowed at the New Moon now as a vast sea; ablaze with flaming and brilliant Light. This sea shines brightly and the light and Fullness of Mother Moon looks down lovingly on the quickening of you, Her most precious creation. What actions will you take to insure that these waters continue to flow strongly? What actions will you take that will support the fires of will that flow within? The Waning Moon’s energy would be the point of the receding waters and the revealing of what actions were fruitless in support of your goal and what sparks that may rekindle the flame anew are worth retrieving. This release is one of allowing the falling away of what remains that would keep in the shadows the efforts of your will. This time of waning is also the cooling period so that what has been heated and tempered can now cool and solidify as it awaits a new bolster of active will at the next New Moon. The Archetype: The King is the archetype associated with Leo. This exemplifies the aspect of Leo that claims dominance and has the confidence to demonstrate leadership, even in the most challenging of circumstances. The King stands in a place of authority and has the ultimate control of what occurs in his kingdom. This archetypal energy, if well used can shore up the confidence of any who must rise to a role of leading. The reminder here is that all kings are remembered for the way in which they exerted the natural power given to them. The lessons of history are full of the tyrannical ruler as well as the beneficent one. Aligning this power with right action and tempering it with the appropriate amount of merciful understanding and humility will insure that what is remembered historically will be a ruler who served rather than only received. Moving through the Zodiacal Wheel’s energy, the First House is the singular “you” identified by your personality and who you are presently and who you who hope to become. The second House holds the possessions and things you have acquired that further define you. The Third House represents how you express yourself based on what you have learned of yourself (1st House) and what you have chosen to surround yourself with in the material world (2nd House). The Fourth House has taught the lessons of home and family; commitment and unconditional love for who we are. Arriving at the Fifth House we are now ready to emerge from the security of friends and family and stand courageously in the Light of the choices we have made that have crafted this self. Moreover, we are ready to actively engage in the dance of Life as we become more confident in our personal power. The Fifth House is the space in which we enable ourselves as creative beings. We try and succeed, we revise and we fail; but we always continue on. Each creation begetting another, and what we claim as our own becoming the catalyst for a new creation. The vibrant Yellow of the sun and Orange-Red glow of the sunset are the colors associated with Leo. There is nothing pale and demure about Leo’s energy and these colors are bold and dynamic in the response they evoke. This is the goal, after all, of Leo; to attract attention to itself and boldy move forward. Pace with their eternal cycle. Stirs and bubbles up to the surface. And purposeful in its flaming path. Having found the security of emotional support under the nurturing care of Cancer, Leo is now ready to burst on the scene and stand on its own. Challenge is welcomed as each opportunity offers a lesson about how our active nature can best be used. Leo is the second of the Fixed signs, following the Cardinal energy of Cancer and the second round of the modalities. Just as Cancer serves as the beginning of a more mature and supportive expression of the emotions, Leo holds the stable container for the intense heat of will fueled by passion and desire acted creatively upon. Seasonally, under the potent rays of the Leo sun we have enjoyed the rewards of the First Harvest of grains (Northern Hemisphere) or are enjoying the first budding of Spring’s growth (Southern Hemisphere). Both of these events are about creation and the spark of life that is contained within. The grain that is now ripe for the taking and will sustain and fuel the family through the winter months and the burgeoning life that stretches upwards drinking greedily from Father Sun’s energy. In its highest expression Leo’s energies become the tool’s that we use as we claim dominance over what path of expression we choose in exerting our will and power. These are the lessons of self-control and strength that can be relied upon to be unfaltering in its loyalty. The tension has been building and tomorrow afternoon the Moon waxes full in the astrological sign of Aquarius. No doubt, you may have noticed that people are a little more “hot-wired” than usual with nervous energy flowing like water. Uranus (now retrograde and potent as an exposed electrical wire) is the master of electrical impulse (and the physiologic neurologic system) and is the ruling planet of the astrological sign of Aquarius. Add the expansiveness of the Full Moon and flowing emotions, mind (Aquarius) and the nervous energy (Uranus) and you have electricity discharging at an emotional level. Fire and Water is the theme throughout this Moon’s waxing with Airy Aquarius churning up the waters of Mother Moon. Additionally, the Fixed Modality of Aquarius is prevalent in the planetary energies and offers the necessary guidance and stability to hold the blast of this phase. This potent phase of transition that we have been feeling for quite some time now is ready to co-mingle, interweave and establish a place of pointed balance where the vision of a new collaboration may be realized. As though this were not complicated enough, there are multiple planetary energies that are weighing down the acceleration pedal of a fixed and stable vehicle that would otherwise move in a relatively smooth course from A-Z in lightning speed. This is the routine process of Aquarian energy having the greatest strength in matters of the mind and the ability to process large quantities of information quickly and reduce it to a single logical summary in a very short period of time. Apply this information processing style to matters of the heart and the flowing waters of emotion (the Lunar qualities) and you have rapidly moving and expansive waters that open out to many smaller streams of potential for expression as mind (information) carves out various open-ended options. 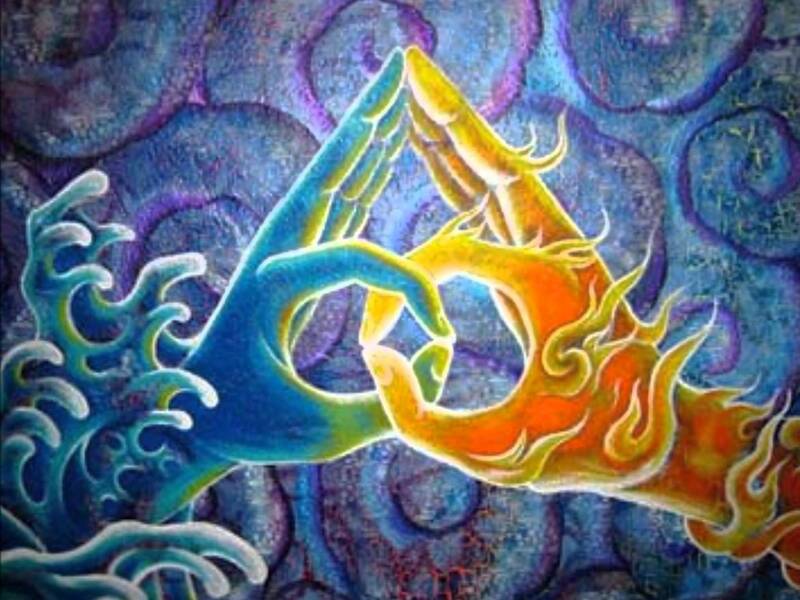 This is the Triad of Creation, the breath of life igniting the flame of form in the birthing waters. This fixed energy provides the container for manifesting, but can also give the feeling the feeling that there is very little wiggle room and that the flexibility of options are not at hand. Mars in Scorpio produces an assertive and /or aggressive way of expressing your emotions. This is the energy that is punctuates by those “zingers” that come out of nowhere and are often the dredging up of long held emotional issues that have gone unsaid. Saturn then attempts to regulate and organize in cleaning up the aftermath of depth charges that have exploded. Remember I said “nervous energy” in the beginning? Most of this type of interaction is from the accumulation of pressure building until just the precise time, just the precise audience and just enough tension is gathered and nervous energy spews out what could not ordinarily have been said. Jupiter in Leo calls into action those sweeping fires that consume and gather into their light everything. This is the expansive nature of Jupiter and the wildfires of Leo’s need for acknowledgement can soon blaze out of control if not purposefully directed and contained. Mercury is in the astrological sign of Leo as well. Bold, in your face and filled with passion and determination. Moon in opposition to Mercury. So, although you may be bursting at the seams ready to communicate the wisdom of your new experiences, what you say and do may be in conflict with what you are actually feeling making for frustration and difficulty making your needs known. Nonetheless, everything is drawn into the spotlight and the scramble is on to produce and perform. The Three Outer Planets are Watching! The implication here is that accessing the Plutonian wisdom of all time and all space and using this as the tool of grounding (Capricorn is an Earth sign very much aligned with the mind-space of physical and spiritual vessel of self) can help to soothe the fiery flow that is agitating and ultimately stretching us- ready or not- towards a broader emotional perspective. When I was searching for an appropriate image (and title) for this post I had a specific vision in mind. As I went through multiple fields, none seem to speak to what I wanted to visually capture – until I came across the image of a Mudra. The depiction is a variation of the Jnana Mudra; most commonly seen in depictions of the Buddha and hands resting on each top of the thigh. In the practice of using Mudras, the thumb indicates the Cosmic (Divine) principle of consciousness and the index finger represents the Individual (human) consciousness. 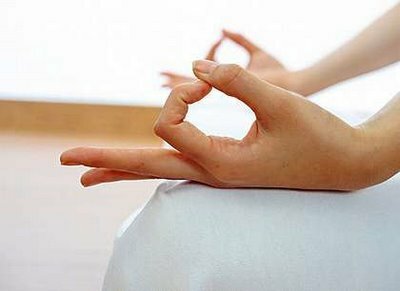 The Jnana Mudra is considered the Mudra of Wisdom and is most commonly recognized as the position of the hands seen in support of a sitting meditation practice. In its simple form the fingers are relaxed and point downward (as in seated Buddha) and not interlaced. In its expression of reaching towards Spirit the hand is placed with extended fingertips pointing upward (heavenward) at heart level. In the image I selected we have the interlacing of the circle of finger and thumb and the tips of both hands touching forming a triangular point heavenward. Wisdom is held within wisdom. The Divine and the human centered and finding the space of common ground(ing). Fire and water, sun and moon overlapping and becoming as one as the breath of air fuels the flame, moves the waters and is gently held in the circle of continuum that serves as foundation for the apex of Spirit arising. On the evening of the Full Moon our coven will be celebrating this Full Moon doing a working of pouring candles that each member uses in their personal work to connect with the energy of the coven. We chose this Aquarius Moon as the bringer of the charge of inspiration and mind to infuse our candles. We are an Air coven (meaning that our coven tool is a sword). Using the energy of this Full Moon we are calling on the flame (the heated wax) of potential to flow (melted wax) bringing us into the Light of our own Divinity (the work of solar Leo). We breathe into this liquid flame our energy to coalesce within the vessel of stability that we have crafted (hardened candle). And, the intent and subsequent use as a tool of connection when we are physically unable to be present honors the universal and visionary perspective of Aquarius as it seeks to unify and network for the future of humanity. Begins its arc across blue sky. Glow as my Light fills the spaces between. 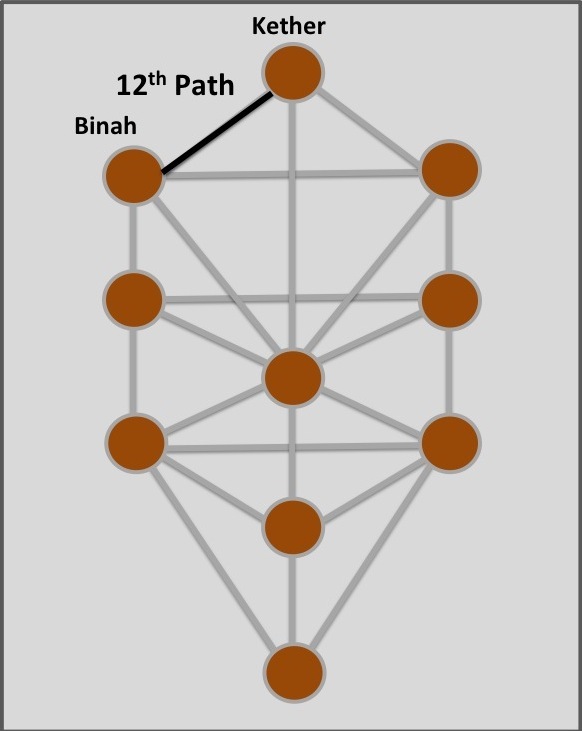 Each of the Sephiroth and connecting Paths of the Tree of Life, holds correspondence with a planetary and/or zodiacal energy. The physical Sun stands centrally within our solar system, providing light and heat. 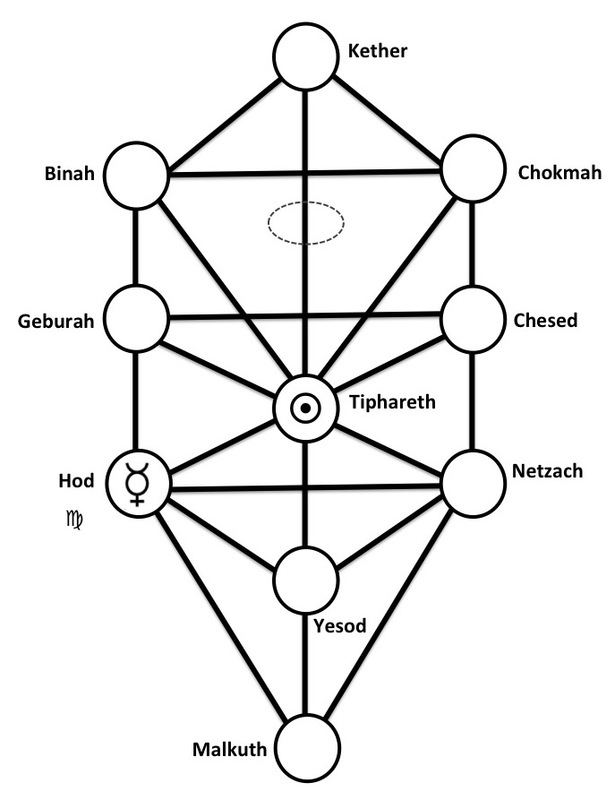 Tiphareth provides the space of transformation and the full force generator that distributes what is processed so it may be utilized and transmuted by whatever it emanates its energy into. This is the sacrificial aspect of this sphere. This is the action of enlivening within its own source to ensure the continuation of the creative process begun within the other components of the Tree. Astrologically, we have learned that Leo is ruled by the Sun. 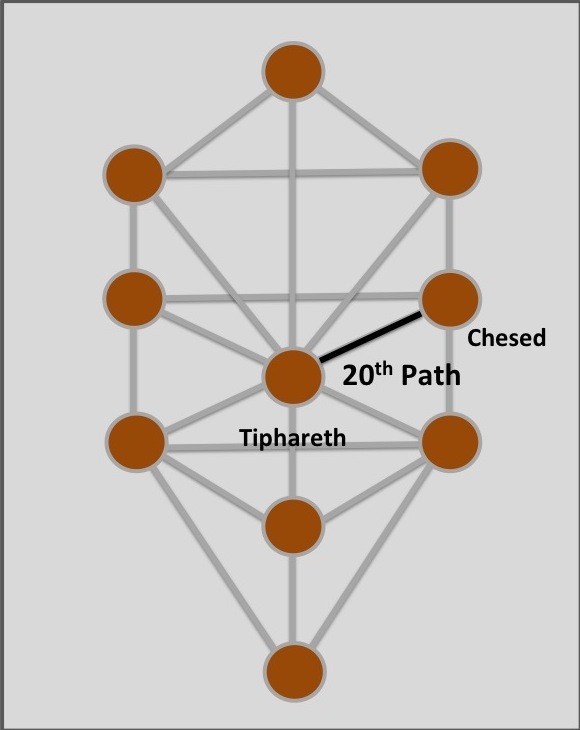 His planetary energy is found in three places – the sphere of Tiphareth, Paths 19 and 30. We’ve spent some time now in the energy of the Sun/Tiphareth and learning of its relationship so far to the astrological signs of Aries, Taurus, Gemini and Cancer. Now, the focus is entirely on the brilliance of this sphere and the energy of its sign Leo. The sun sits at the center of our Solar System and within the sphere of Tiphareth. The Lion’s roar of Leo reverberates out from the center point of the Tree and emanates out in dynamic and magnetic flow in all directions towards the other paths and spheres of the Tree. One of the goals of Leo, and its ruling planet, the Sun on the Qabalistic Tree is to attract to itself what is the necessary place of anchor from which all can flow and into which what needs greater light can be refined and transformed in its fiery core. 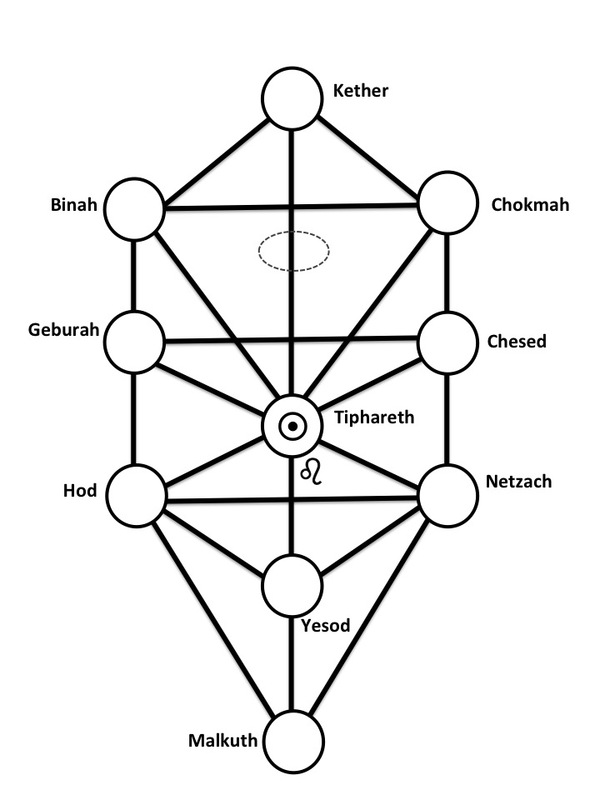 Tiphareth is the sphere if sacrifice and as such this sacrifice takes many forms. Ultimately it is the sacrifice of what we think, feel and consider to be of highest value so that something greater may stand in its place. The companion to this sacrifice is regeneration and it is this process of regeneration that ensures that what comes into the light can withstand the judgment of scrutiny that stands courageously in its new found strength. Held between Force and Form. Ripe with possibility and potential. The 19th Path is one of initiatory experience and the lesson is one of navigating the challenges of the self. This is the path of resolution of the baser nature that seeks to control our actions and the pause that is given in considering the results of those actions. This is the guidance of the connecting sphere Chesed’s (Mercy) downpour as the merciful conscience that holds accountability for what enters wounded and willful so it may move forward healed and with Higher intent. Any form of initiatory experience demands that there be a sense of clarity and will of purpose in what the intended desire may be. Even in the case of pure faith there is the dynamics of will that trusts that what is attracted will be transformative. This energy requires the application of self-control of will and discipline of spiritual endeavor. This is the state of sacrifice that is inherent in the Sun of Tiphareth. The ability to see greater perspective in all endeavors and the more consistent the spiritual practice that brings the seeker to this realization reveals the Divine potential held in all creative acts and all products of that creation. 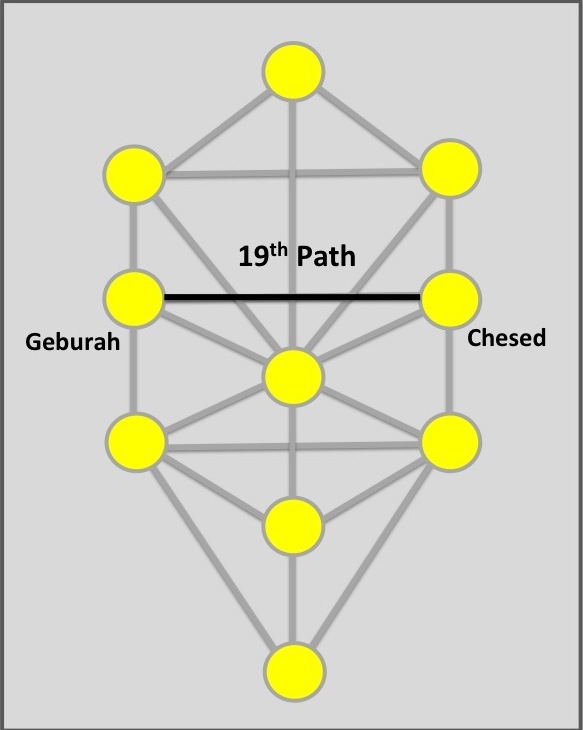 The 19th Path is assigned the element of Air. On this path the presentation of Air is one of keeping steady and strong flow of communication between Mercy and Might. The placement of Leo and its ruler the Sun on this path reflects the courage that is required to maintain the proper mindset of balance between what can become tyrannical and what holds potential of being ineffective. When dialogue remains open and each affirms or negates the other’s actions based upon clarity of reason the chances are more in favor of successful resolution. Note, that I did not say positive or negative. In this case what by all appearances may seem negative may be the best outcome and vice versa. This is the precise and selective nature of the Lion in assessing what is viable prey and what is simply not worth the expended energy. In minds labyrinth of logic? Let manifest creation take form. The 30th Path is one of inspired movement merging with what will sort and categorize effectively to produce a viable product. This is the fusion of reason acting as catalyst for the visions and memories held within the storehouse of Yesod’s dreamscape. This outpouring acts to inform what will come to a state of its own glory; albeit not necessary in a manifest way. The seeds of this inspired mind continue in their potent flow without the benefit of censor or filter of emotion. The elements of Air and Fire are placed upon the 30th Path. As we move closer to the sphere of Malkuth and the final realization of manifest form, the collaboration of the elemental forces of the physical world have greater opportunity for interplay. Air either serves to feed the flame of action or extinguishes what has built up momentum. It is this energy that is required to sort through the stream of thought issued in fiery flow from Hod. The air provides the fueling of what is to be drawn forward and the air extinguishes anything that would draw attention away from what should be processed. 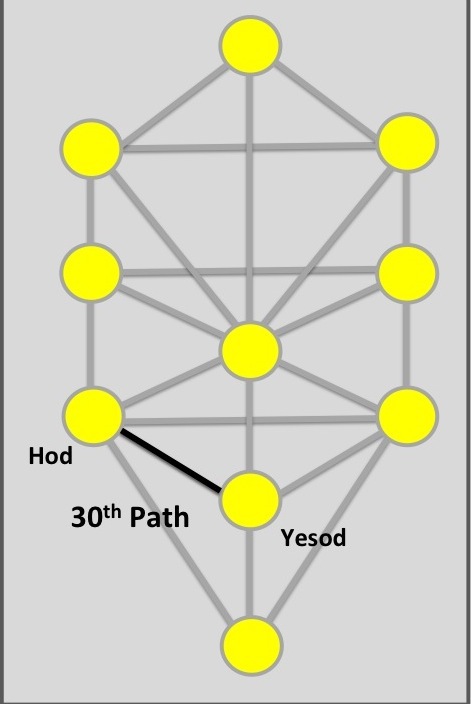 Placing the Sun on the 30th Path gives indication of the dynamic exchange that occurs when pure mind, reason and idea are coupled with memory and the ability to dream your creation. The sun here is corroborator of that flash of brilliant idea. It is the illumination needed to bring to the foreground and draw out from the shadows what is inventive and what needs application of a bit more creative filtering. It is the law of attraction in action. The more you think the more you dream and the more you dream the more creative the thought. As we consider the attributes of Leo and its ruling planet the Sun and their impact on the Tree of Life the prominent focus is one of attraction to infuse with the dynamic energy of Will. Leo offers the vehicle of synthesis and center stage to exact the magick of drawing to itself what needs benefit of its potent rays as the work of involution and evolution occur. The Sun becomes the Temple of devotion that creates flow and movement strengthened by the cycles of rise and fall that incrementally carries everything forward on its solar tides. The connection of the element of Air to energies that seem solely suited to that of Fire speaks of the interaction between flame and air. Each needing the other for viable action in either burning away or fueling what becomes the informed catalyst of change. 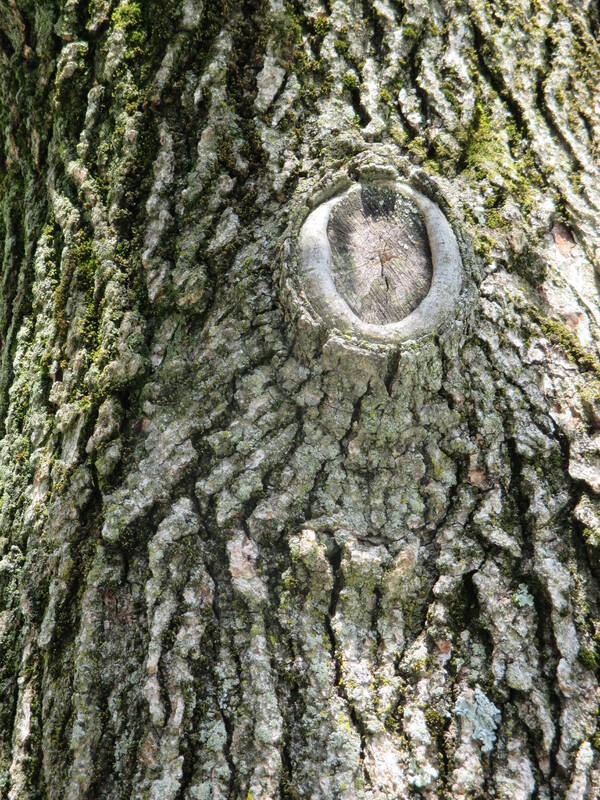 As the light of Tiphareth (Sun) shines brightly and radiates its vision of magnetic attraction throughout the multilayered branches of a tree that reaches far and wide in its expanse we are all the recipients of an illumined path of Light and life that calls to us to come stand in the flames of its beauty.